 Every month, Team Ford and Kentwood Ford team up with K97’s Pete Potipcoe to let him test drive a new truck! For January, Kentwood Ford outfitted Pete with a 2019 Ford F-350 King Ranch®. After a few weeks bombing around Edmonton in the luxurious, heavy-duty truck, what did Pete think? The distinctive Ford F-350 King Ranch® is all truck. Armed with a 6.2L SOHC 2-valve Flex Fuel V8, and a TorqShift® Heavy-Duty 6-speed SelectShift™ Automatic transmission, the F-350 gives you the power and capability to handle any task. With 385 horsepower and 430 lb-ft of torque, there’s no challenge it can’t rise to meet. The King Ranch® also adds some luxurious touches to make this workhorse the most comfortable ride possible. The leather seats are accented by a Mesa Brown leather-wrapped steering wheel. The front seats and steering wheel are also heated for those cool winter months. Listen to your favourite tunes on the B&O™ Premium Sound System. The more advanced Ford SYNC® 3 system comes standard in the King Ranch, and is outfitted with the Voice-Activated Touchscreen Navigation System with SiriusXM Traffic and Travel Link®. What’s the Biggest Ford Truck? What is the Ford truck with the highest towing capacity?